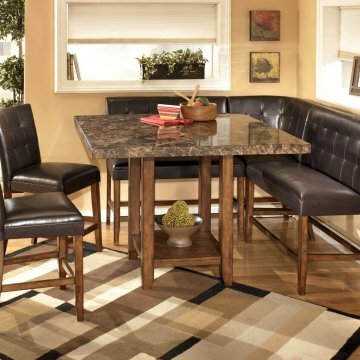 The Brown Faux Marble counter table set is by Global Furniture USA. 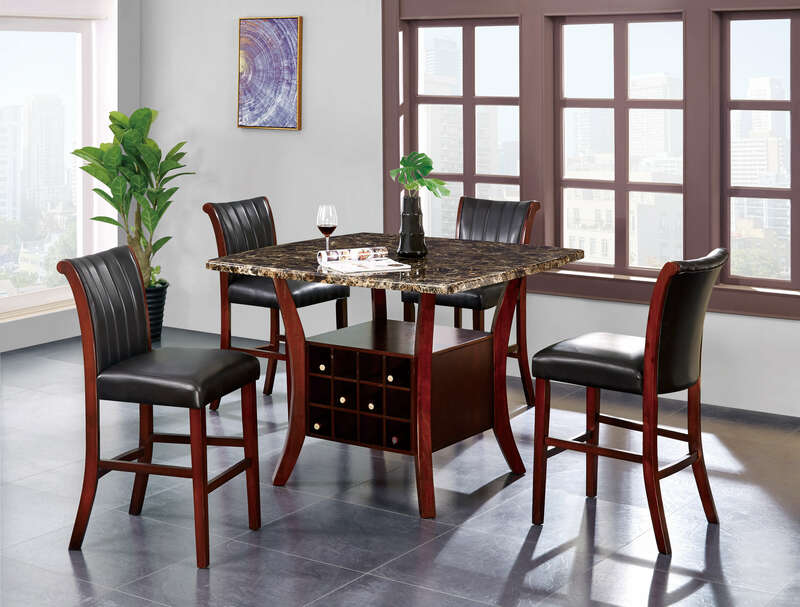 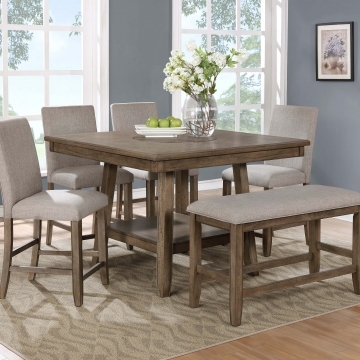 The set feature a brown faux marble table top with a merlot finish base and bottle storage. 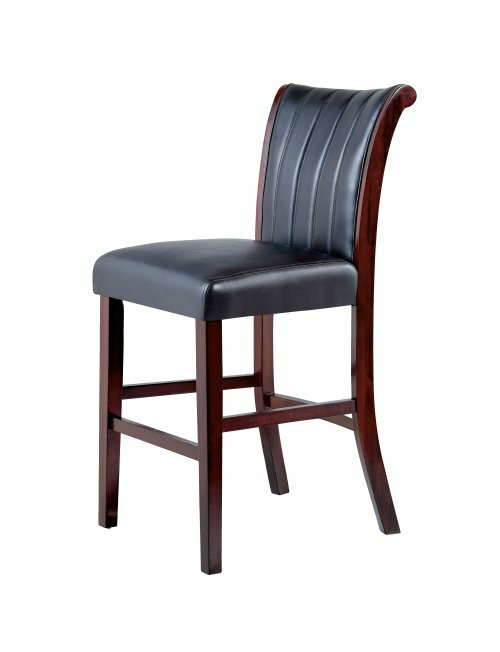 The counter stools have a matching merlot finish with espresso leather like upholstery.